For the ancient town of Arcadia, see Cleitor. For the village in Achaea, see Kleitor, Achaea. 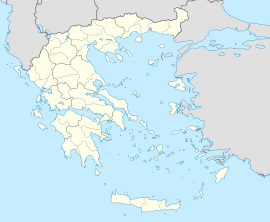 Kleitor or Cleitor (Greek: Κλείτωρ) is a former municipality in Arcadia, Peloponnese, Greece. Since the 2011 local government reform it is part of the municipality Gortynia, of which it is a municipal unit. The municipal unit has an area of 150.582 km2. Its population was 1,406 in 2011. The seat of the municipality was in Mygdalia. Cleitor was a historic and powerful city-state in ancient Greece.